The radio module NRF24L01 is a further development of the traditional NRF24. The new version is also known as nRF24L01 + PA + LNA. 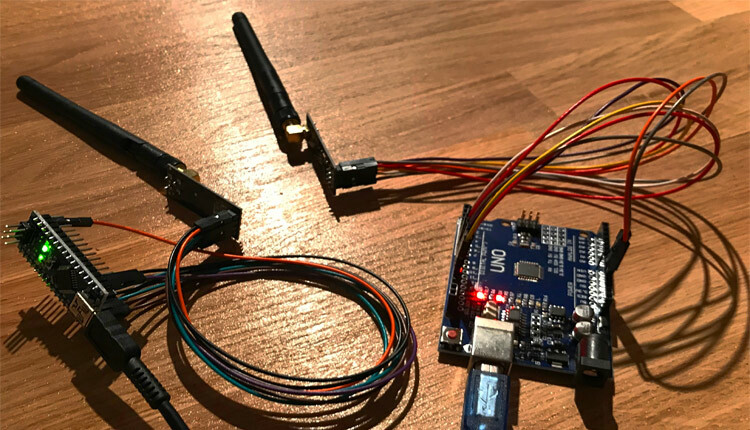 This version has a powerful amplifier and an external antenna connector, where ranges of up to 1000 meters should be possible. 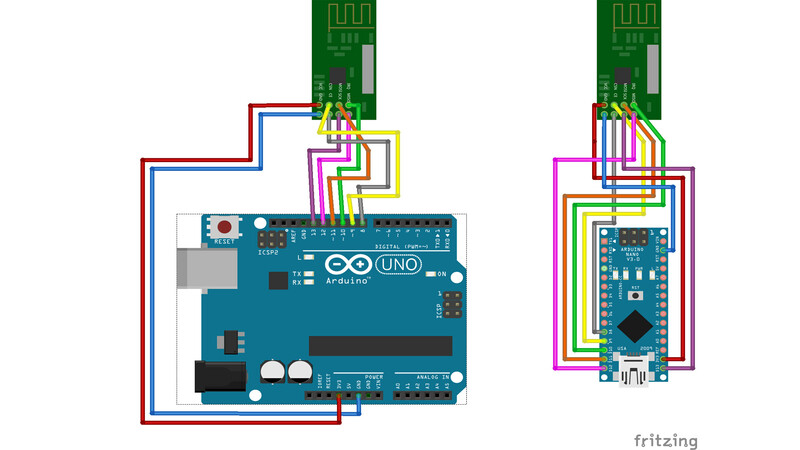 The module in this article is operated with an Arduino Uno Board. The first module works as a transmitter and the second one works as a receiver. But each module can send and receive, so a transmission in both directions is possible. The module uses the SPI interface as connection to the Arduino board. In addition, two more pins (CSN & CE) are necessary.The module does not require any additional power supply, but it must be connected to the 3.3 volt pin. Do not power the module with 5 volts, because it can damage it!Data lines can be connected directly to the module without a voltage reduction. The sender and receiver have their own software. The configuration and pin assignment is the same on both sides. The parameter that is transmitted can be sent as a string and will also be printed as a string on the receiver side. With a software extension, the string can be split. This makes it easy to exchange several parameters in one transmission. The example code is very simplified and shows the minimum settings for a data exchange. In addition, the NRF24 Library is needed. The modules are very powerful. It should be possible to transmit data of several hundred meters. For this we will make a range test with the modules. In our first test, we have already done a clean data transfer at a distance of 130 meters (free view).